On the heels of Bike to Work Week, I recently made a list of ways to travel that don't involve the use of a personal car. Cycling and walking, of course, topped the urban transportation chart; they are green and clean and keep us healthy to boot. 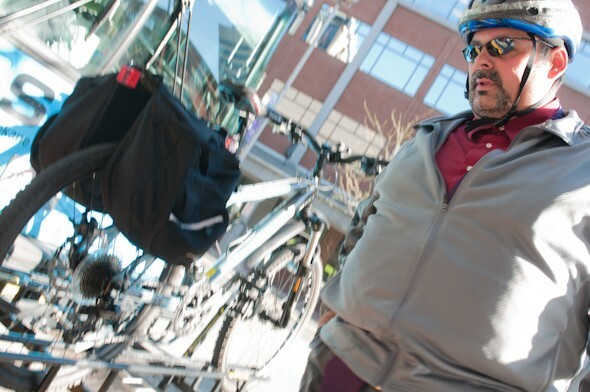 But for busy schedules and people constantly on the move, biking and hiking aren't always a feasible alternative. Next on the list was public transportation. 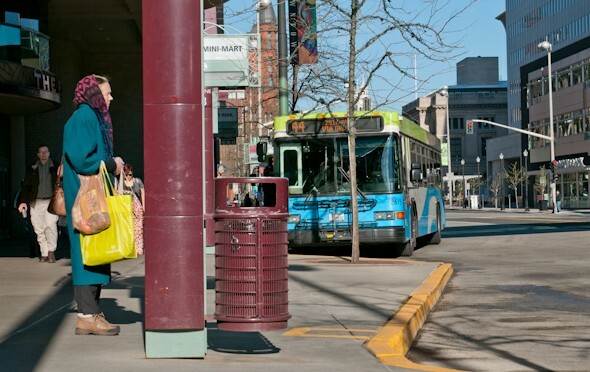 I wandered downtown to the Spokane Transit Authority plaza this week to see how and why people are commuting these days -- especially when going by city bus. 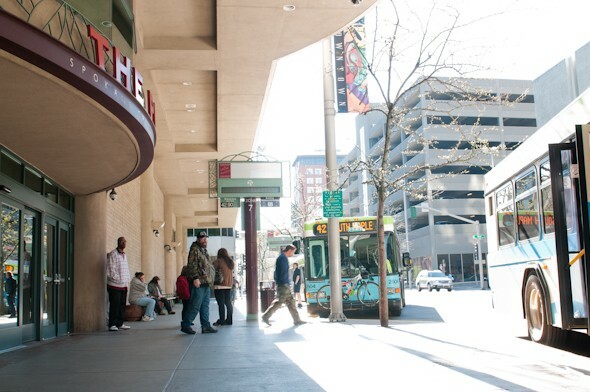 The STA bus system provides Spokane residents approximately 42,000 rides to various destinations within the city each day. Devon Boering is a student at Rogers High School. 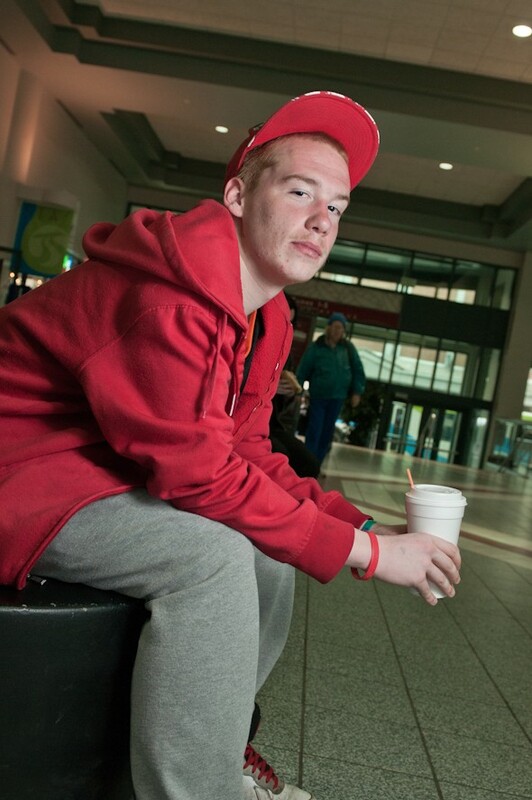 He commutes to class Monday through Friday on public transportation instead of riding the district school bus. 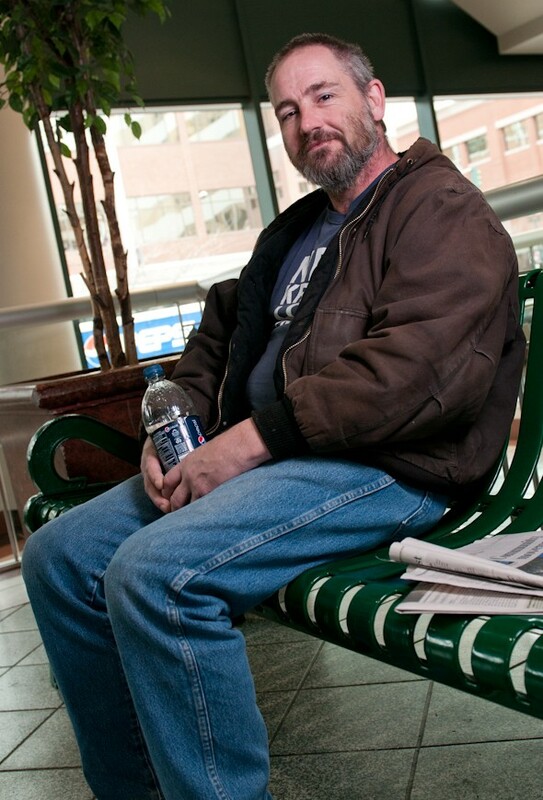 He says, "I just like taking the city bus. It's more interesting and takes less time." Most of the STA's operational budget (66%) comes from local sales taxes, while the remainder is covered by federal dollars, fares and other miscellaneous sources of revenue. 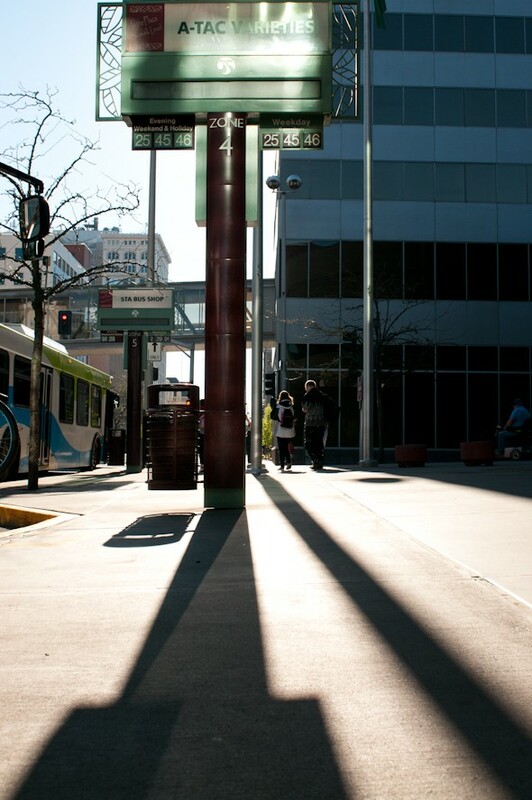 Approximately 17,000 travelers pass through the downtown STA plaza each day en route to their destinations. 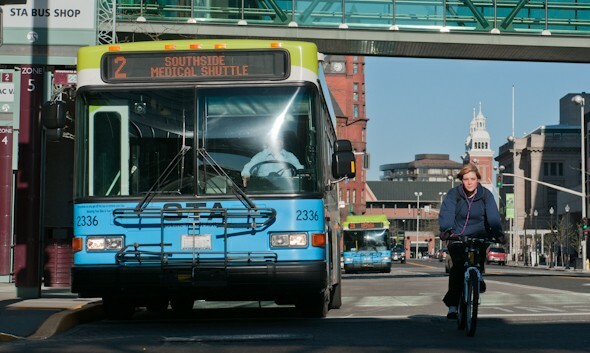 Most city buses are equipped with bike racks, giving cyclists the option to pad their passage with pedaling. Sabrina Ryan is a single mom who lives in the Valley, works in north Spokane, and takes classes at SFCC. She wakes at 4:30 each morning to get her and her daughter on the bus by 6:30 am, and while the commute is tricky — she says she's finding ways to make it work. Every month she purchases a $29 bus pass with her student discount, and has learned to use the commute time efficiently by multi-tasking. Morning commuters consist of riders en route to work, school, health care appointments and a variety of different engagements. 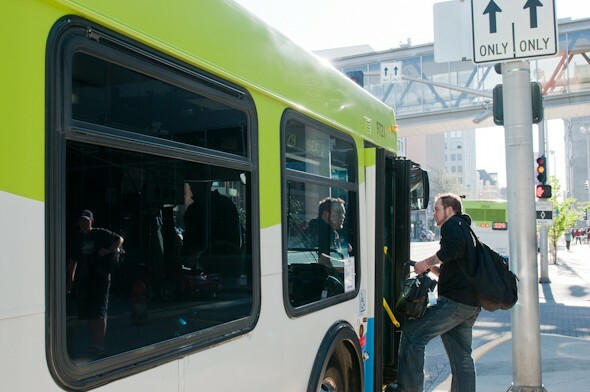 For others yet, travel by bus is essential simply for the business of running daily errands. Suzanne Davis has three children with medical needs and has never had a driver's license. She says she's a tree-hugger at heart and likes the fact that public transportation helps the environment while getting her and her family to the appointments they need to keep. She also likes that it keeps her on a routine of daily exercise. 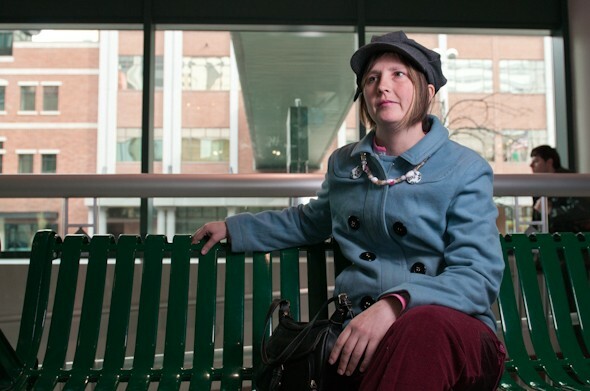 She walks 2 1/2 miles from her house in Airway Heights to the nearest place where she can catch a bus. 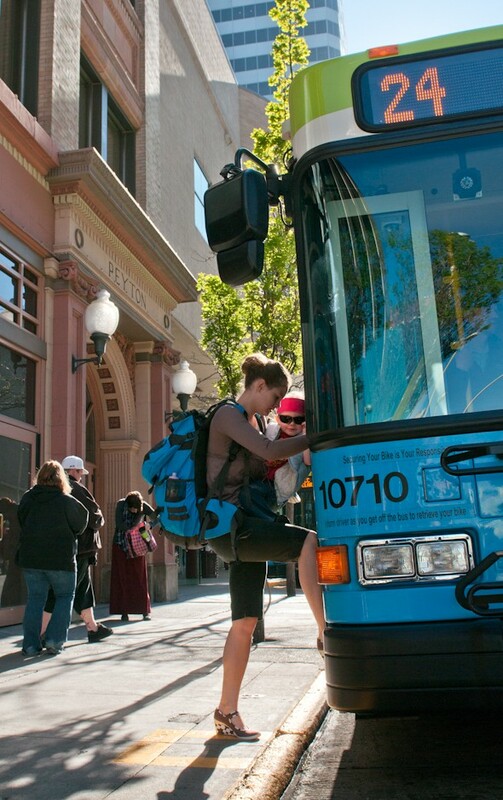 Buses are a family and budget-friendly way to get about town. Up to three children under the age of 5 are able to ride for free when accompanied by a responsible guardian paying full fare. 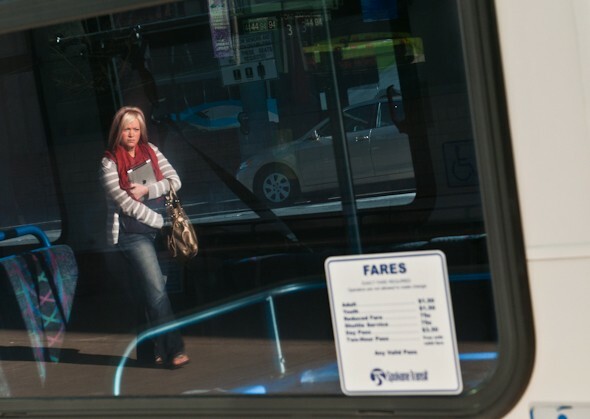 Adult passes allow working professionals to travel and conduct business anywhere throughout the entire STA system for only $45 a month. 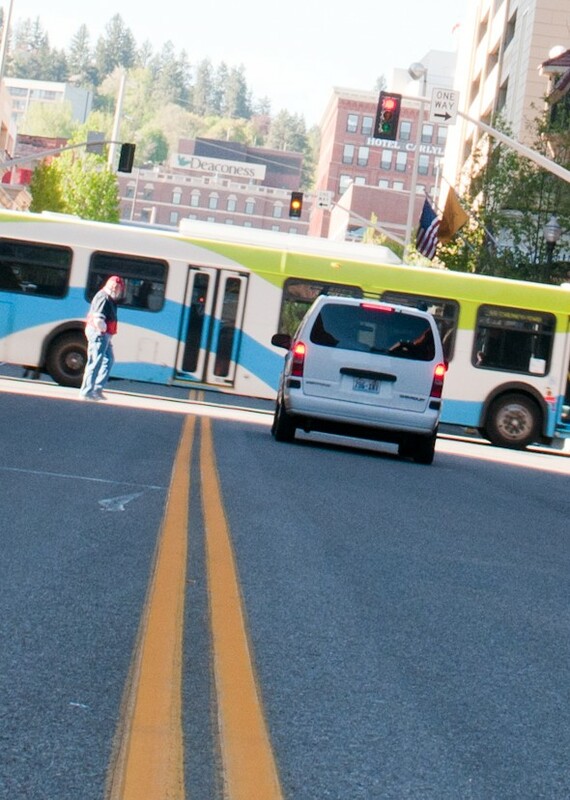 Cyclists and buses share the road, a sign that alternative transportation has become an important consideration in the sustainable development of Spokane. THIS WEEKEND IN MUSIC: Odyssey! Boyz II Men! Hell's Belles! Roger Clyne!